Since 1980, National Laminating (NLI) has satisfied the laminating and ID Badge requirements of thousands of end-users in government, industry and educational markets. 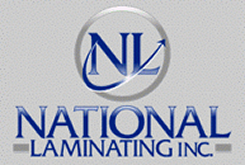 NLI is a leader in US Government sales of wide format laminating equipment and supplies. Our equipment product line includes the top brands of wide-format roll laminators and ID badge printers, cost-effective school roll laminators and heavy-duty, American-made pouch laminators. We offer wide-format laminating roll supplies, pouch laminates and ID badge accessories, including badge holders, lanyards, badge reels and strap clips. In addition, NLI has the capability to custom print logos on our lanyard and badge reel parts, as well as printing holographic images and logos onto our line of laminating pouches. NLI leads in providing radio frequency shielded badge holders and sleeves to protect government issued ID cards from data theft. To date, we have over 13,000,000 units in use by dozens of military and civilian agencies. We are currently one of the leading vendors of wide format laminating equipment to the Federal Government. Laminating and ID badging services are options from National Laminating if the purchase of equipment is not practical. Based upon over 35 years of experience in supplying and servicing laminating equipment and providing laminating and ID badging services, NLI is uniquely positioned to offer guidance on the choice of the appropriate laminator or ID badge printer, including suppplies for each application. If you need assistance, please contact a sales associate by e-mail @ sales@nationallaminating.com or via telephone @ 1-800-888-9210.